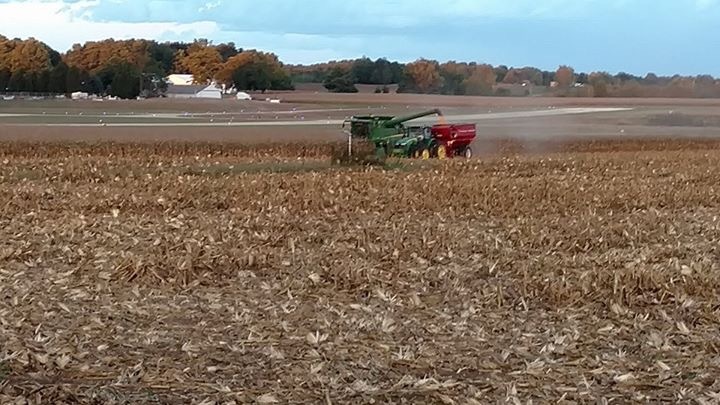 Here it is mid October and the combine has been running as weather permits since September 26th. I heard from one reliable (and handsome) source that we were close to 40% of our acres being harvested. Today and the next 3 days look promising for good weather and I’m sure the Good Lord willing, many more acres will be covered and grain hauled to the bin. 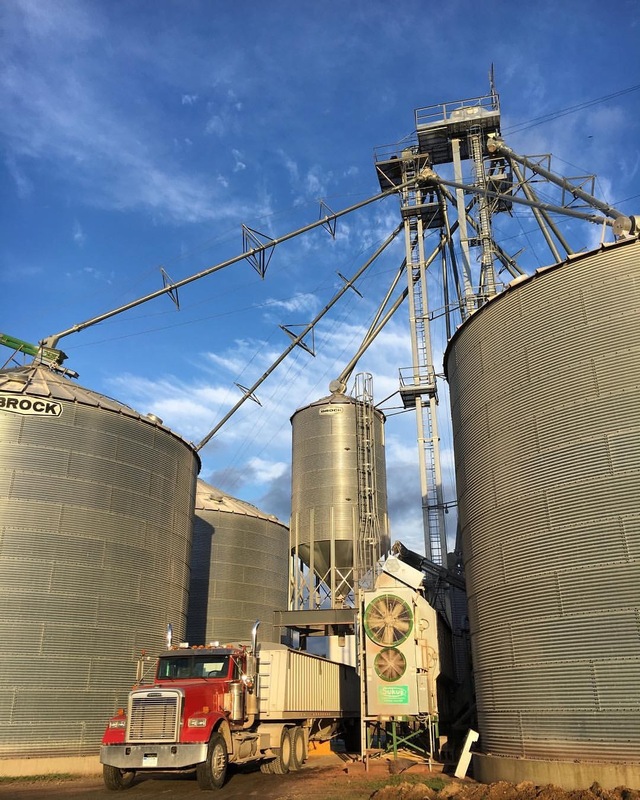 Besides the weather, the human factor is key to a timely and efficient harvest. We are so blessed to have a Team here at Snider Farms that is second to none! From those who are faithfully watching over the flocks and herds to those operating, sometimes ’round the clock, the harvest equipment and grain system storage, everyone understands it is crunch time. The team extends also to the family members who bring meals to the fields, or fill hefty lunch coolers and lots of times loan out their person to the farm for extra shifts, going it alone at home and events so we can accomplish the goal of completing harvest before the winter descends. To all these, the entire team of regulars and all their supporters, we tip our farm hat to you and say a grateful “Thank You”. Again the farm life turns my thoughts and heart to life as well as livelihood. There are always the frontliners, the drivers, the leaders, movers and shakers- The ‘Git R Done’, ‘It’s Not Happening Without Them’ kind of people on a team. We love or run and hide from them, depending on their mood (!) but understand we need them. But just as important in the equation of harvest and life are the Go-Fers. They ‘go-fer’ this and ‘go-fer’ that, allowing the main thing to stay the main thing, keeping everything running smoothly. Dropping their plans, agendas, and projects to move a truck, go to Larsons, write a report, make another pot of coffee, and on and etc. etc. I fall into the Go-Fer category. I can do all these and lots of other things even less exciting that usually fall in undesirable hours of the dark. But sometimes I’m not too nice about the inconvenience to my important life and (sleep) schedule. I know this about myself, so it’s literally a choice. Be a Happy Go-fer or a #*&%$Grumpy Go-fer. The task still gets done, but my contribution is considerably less when done on the poor choice side. If I consider these essential requests beneath my job description, dignity, worth, I cheat and rob others and myself of the joy that life can bring in just making things go round. I can’t have a re-do on all my past Grumpy Go-Fer years, but I can be the happiest Go-Fer possible this year! So here’s to the Team-Team Snider- or the team you play on: I raise my 11th cup of the day of too strong coffee to each of you. The spotlighters, the efficient fluorescents, the one bulbers hanging by a thread. The room lighters, the twinkle lighters, the night lighters and ‘my power’s about out’ lighters. Shine ON! Harvest will be over soon. Your crazy busy time will slow down. We can do this together much better than separately. And now I must Go! Fer the next thing on the list…. Natural Gas Grain Dryer System!! BoooYA!! 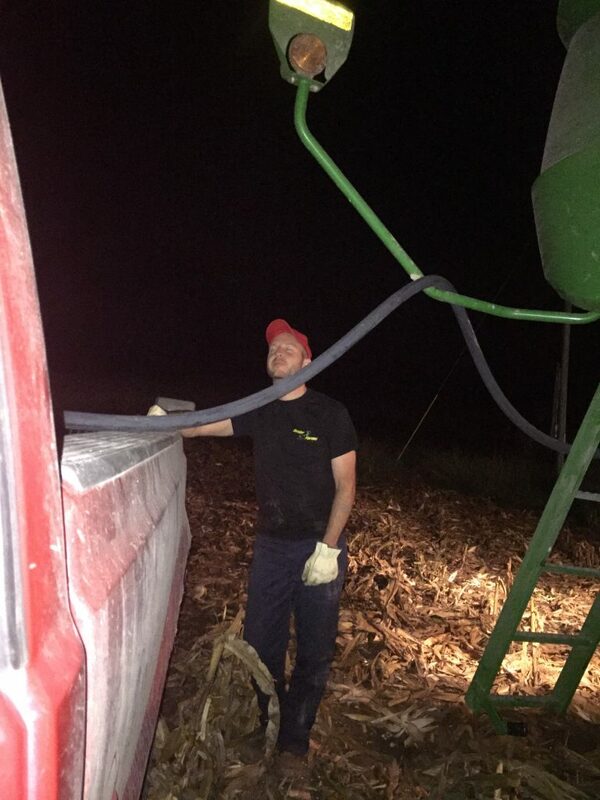 Harvest Tricks of the Trade: Catch a Power Nap When You Can! EARs To A Beautiful Relationship! !